Manihiki Atoll in the distant Northern Cook Islands sits just under the 10 degree south parallel and actually sits atop a 4000m underwater mountain. The flat atoll is made up of around 60 tiny islets and is just a few metres above sea level. Known widely as the 'Island of Pearls', Manihiki's 4km wide lagoon supports an entire pearl industry and is dotted with ramshackle structures atop little outcrops that indicate oyster beds waiting to be harvested. 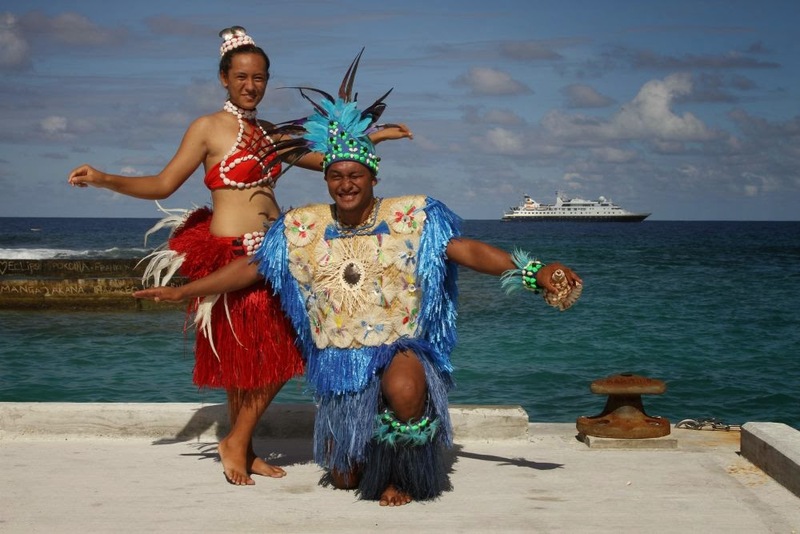 National Geographic Orion, we were told, is the first passenger ship ever to stop here and the locals turned out en masse to greet us with gorgeous singing children and a sampler of the energetic Cook Islands dancing that looks like hula on double fast forward.